I milked a lot of blog mileage out of 17 days in Indonesia, but it’s time to move on. A couple of Saturdays ago, I made plans with a friend to see the Mike Kelley exhibition at PS 1, the public school converted into an extension of the Museum of Modern Art located in Queens. I was familiar with his stuffed animal sculptures, and was interested in seeing the full spectrum of his work. Emerging from Hunts. Pt. Av. on 7 train. There is art to be seen as you emerge from the nether-regions of the underground to the rooftops of Queens. 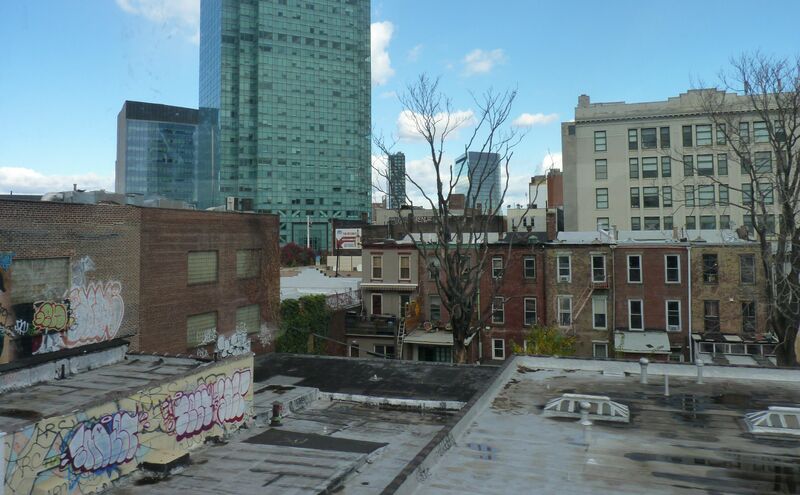 If you appreciate the grit of urban beauty expressed in colorfully decorated graffitied buildings and boxy industrial complexes, it’s nice to take it all in. 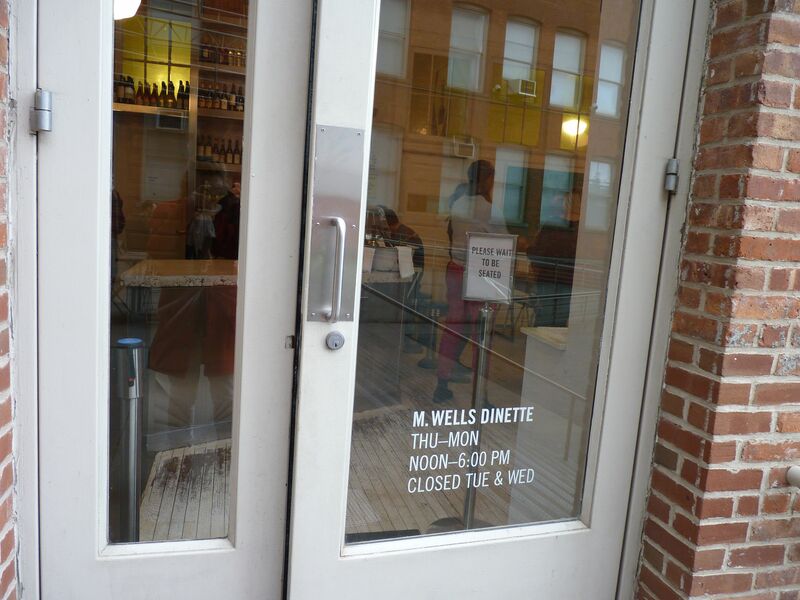 While the purpose of the excursion was to see “art,” we also wanted a meal at M Wells Dinette. I had heard about this restaurant when it opened in Long Island City about three years ago, and received over-the-top reviews for its celebration of the fattiest, lardiest parts of the pig. Then it closed. When I read that it had reopened as the cafe at PS1, I really wanted to go there, and see if it was as intriguing as the reviews had indicated. The show was fabulous, albeit raw and sometimes too vulgar for my tastes, but absolutely honest. I stand in awe of someone whose width and depth of imagination, not to mention curiosity, led him to explore and master materials in every shape, size and texture to create sculptures, paintings, videos, performance, and installations that ranged from small to large. Each piece was infused with originality, intelligence and wit – wit that could be sardonic, sarcastic, skewering and tender. His work is both compassionate and enraged. There was a lot to take in, but the mad vividness and unique perception of the way this particular man expressed his ideas remains unforgettable. 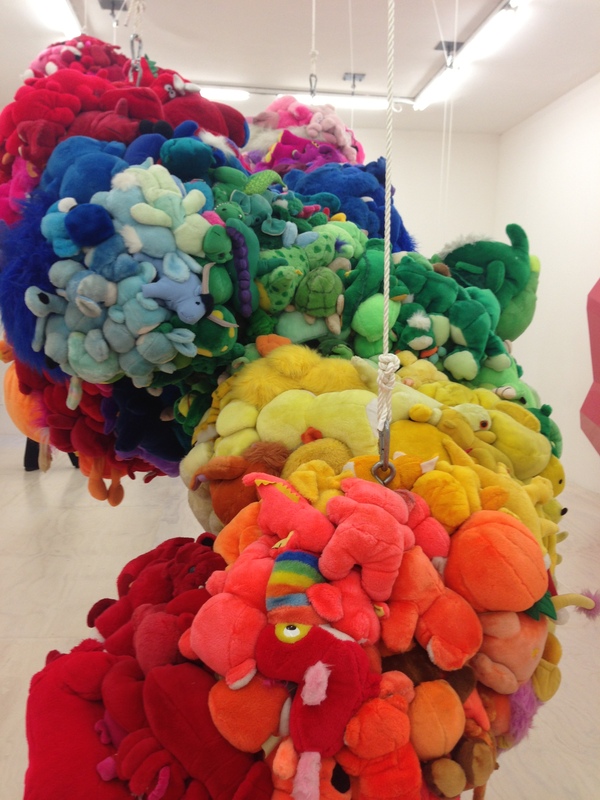 There were stuffed animals, stuffed together and stuffing each other, and stuffed animals that gave the fleeting impression of being hung as disco balls, scatological posters and a classroom sized table top rendering of every school that Mike Kelley attended. 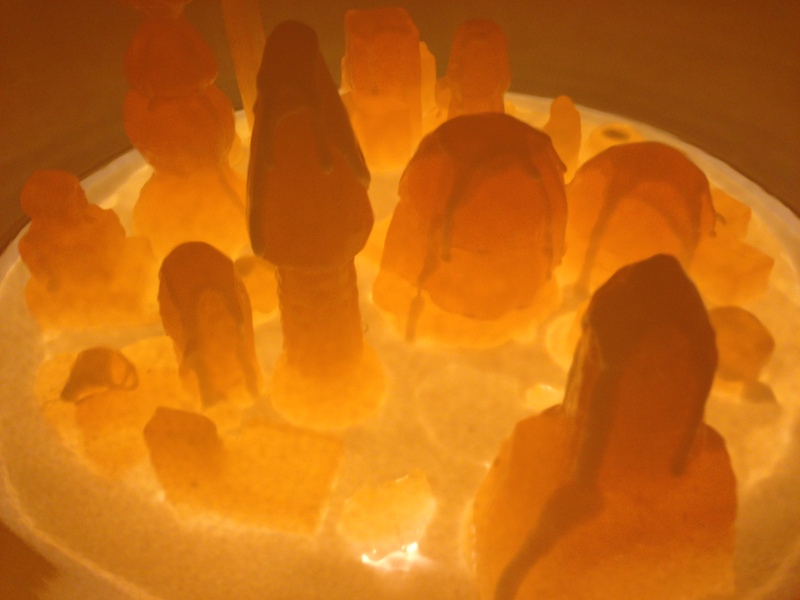 There was a multi-room installation devoted to Superman’s hometown, Kandor, and this does not take in all the videos and paintings and and other pieces that filled the three floors of the museum. Deodorized Central Mass with Satellites.” (1991-99). 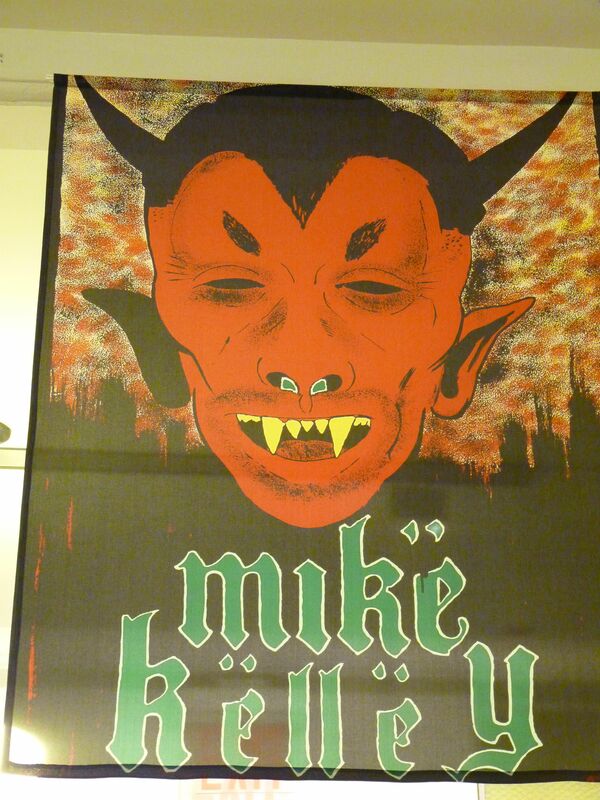 Mike Kelley committed suicide in 2012. 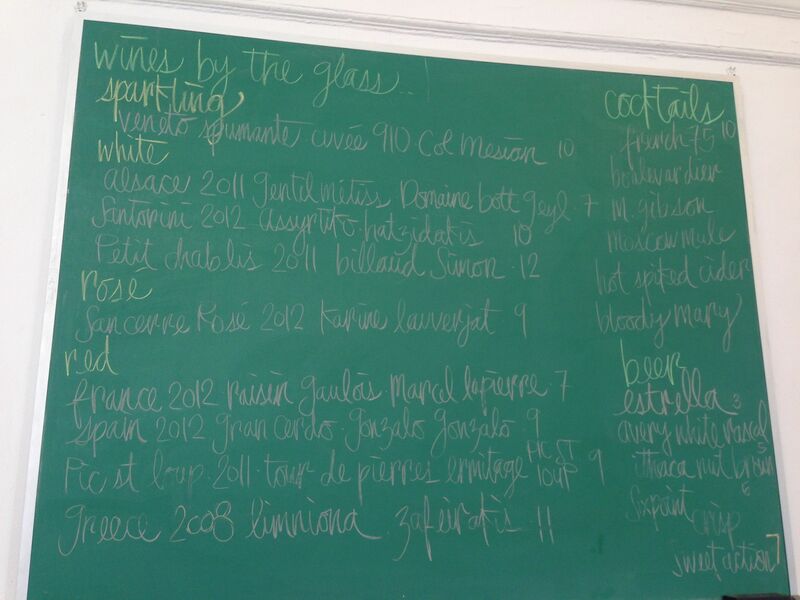 The only reference I read for an explanation was from The New York Times obituary, which indicated severe heartache. We will never know. He was only 57. He is immortal through his work. 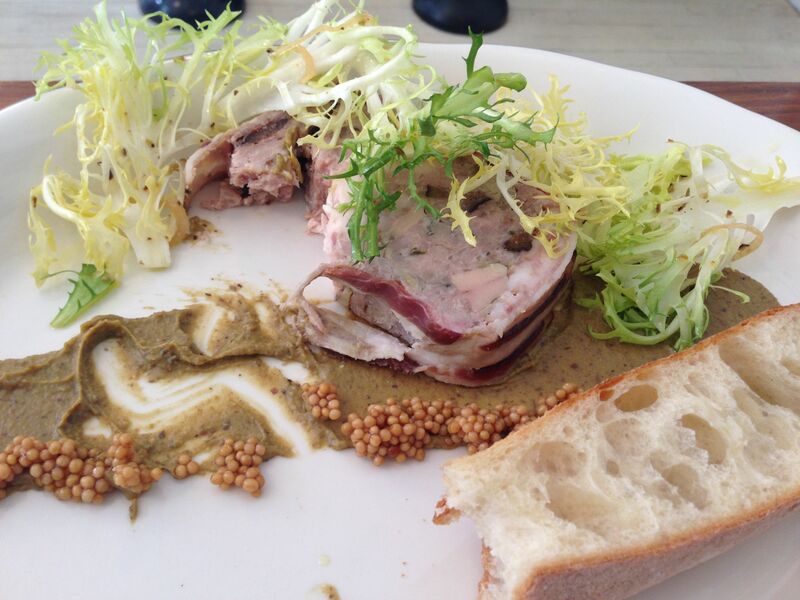 We shied away from the veal brains…But honestly everything was delectable. You might want to consider it next time you’re in the city. Thank you for this post, so wonderful!